All who are interested are invited to join the RUSSIA WITH LOVE action committee, which meets monthly--usually from 10 am till noon on the second Saturday of the month at First Presbyterian Church of Ann Arbor located at 1432 Washtenaw Avenue between Hill Street and South University Avenue, on the southeastern edge of the University of Michigan campus. Once again distrust between the governments of the U.S.A and Russia are putting a wall between these two world powers. The people-to-people activities of the Russia with Love group build understanding at the human level. In this time of tension, supporting and increasing this mutual sharing is important to reduce the distrust and build recognition of our common humanity. 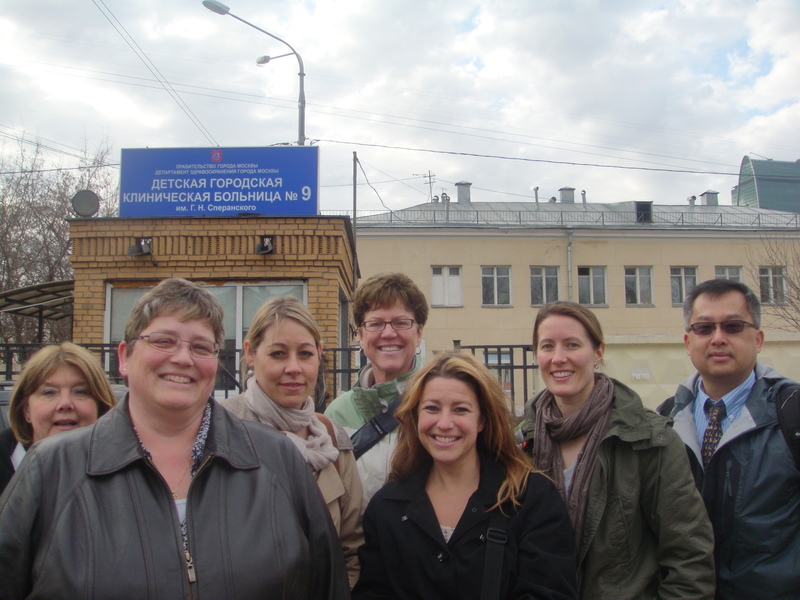 During the second and third weeks of November 2012 Russia with Love was involved in the third stage of a health professional exchange program between Moscow and the University of Michigan Health System. The first stage being a visit by pediatric burn surgeons to U of M, and the second stage a return visit by UM Trauma Burn ICU doctors and nurses to Moscow. The latest stage of this program was a visit by four nursing school instructors interested in exploring Michigan's nursing education program as well as the role of nurses in the hospital and home care setting. The visit was organized to maximize exposure to three main areas: nursing student education, work performed by nurses in the hospital on the intensive care unit, and outpatient care provided by visiting home-care nurses. This was accomplished by splitting the visitors between two interpreters each day: two would stay in the hospital and two would travel with the visiting nurses to outpatient experiences. The visitors were provided with many opportunities to ask questions and most of the value was gained through continuous discussion and explanation of every policy and procedure that was encountered. Overall, both the American nursing staff and the visitors were highly impressed with one another. The visiting nursing instructors were pleased to see that many standard and universal patient care procedures were performed just the way that they teach their students in Russia. In turn, the U of M nurses were impressed at the amount of work accomplished by nurses in Russia with such a high patient to nurse ratio. About two weeks ago I received an email from one of the instructors thanking us for organizing this program for them and stating that it had already born fruit: one of their graduates obtained one of the most prestigious scholarships offered in Moscow by taking second place in the contest for the best graduate in the city. I feel that the major accomplishment of this visit was establishing an interest for future exchanges and providing educators in Russia with a broader view on what becoming a nurse can mean for any individual. A Team of doctors from the U of M Burn Center visited Moscow. 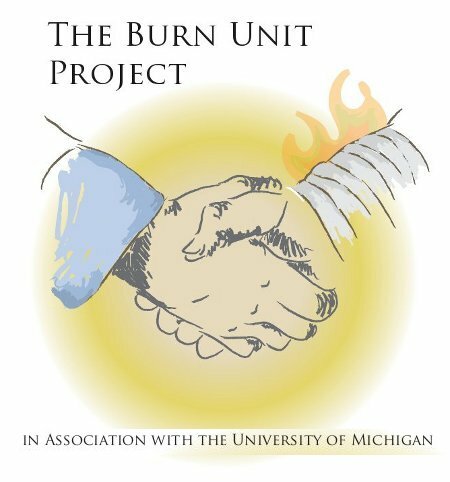 Visit from, Michigan University Hospital Burn Unit in April 2011. The greatest event in April was the visit of medical team from U of M Burn Unit. Attached a photo of the team in front of Speransky Childrens Hospital and the program which was changed a few times. Very nice people, time was limited, distances big, program tight and everything went very well from our perspective in Moscow. Next step in the exchange program is to find the way to continue. Dr. Stewart Wang have good ideas and possibilities. Lori Pelham have seen a great lack of nursing. The Russians are eager to go to US. But next time they will have to find the money themselves which I underlined for them. I also told them that we cannot expect free accomodation. When I told the team about a possible meeting Dr. Wang immediatly responded that "we will attend" and I was very happy. I see the connection between RWL & the med. team as very important for future exchanges. I am looking forward to get minutes from the meeting.